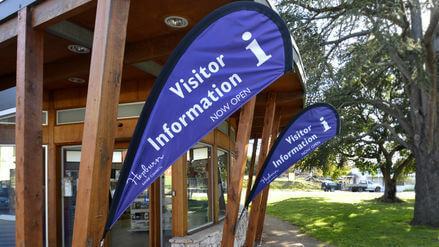 Visitor information | Business & Tourism Creswick Inc. The historic and picturesque Victorian gold mining town of Creswick is cradled between ancient volcanic hilltops. This picturesque town boasts a resident population of more than 3,000 people. Creswick lies at the heart of the central goldfields, just 16 km north of Ballarat and the neighbouring iconic tourism towns of Clunes and Daylesford, the Hepburn spa country, the Macedon Ranges and Pyrenees wine regions. Built on the proceeds of rich gold deposits mined from the 1850s, you will find fine examples of the grand architecture so reminiscent of that bygone era along Creswick's main street. Far from being 'just' a mining town, Creswick is the Australian birthplace of reforestation. Click here for more about John La Gerche who began re-planting forest areas ravaged by mining activity in 1882. Today, much of La Gerche's work survives around Creswick including magnificent plantings lining local streets and a 1 hour loop walk which highlights his work. Click here for information on this and other walks around the town. Creswick has a rich heritage and has produced some of Australia’s most influential artists, unionists, politicians and business people. In 1885 the country’s 14th Prime Minister, John Curtin, was born in the town, his father was a local policeman. So did the multi-talented Lindsay Family, with artist Norman Lindsay perhaps the most famous of Creswick’s artistic sons. Click here for more information about Creswick's famous people. 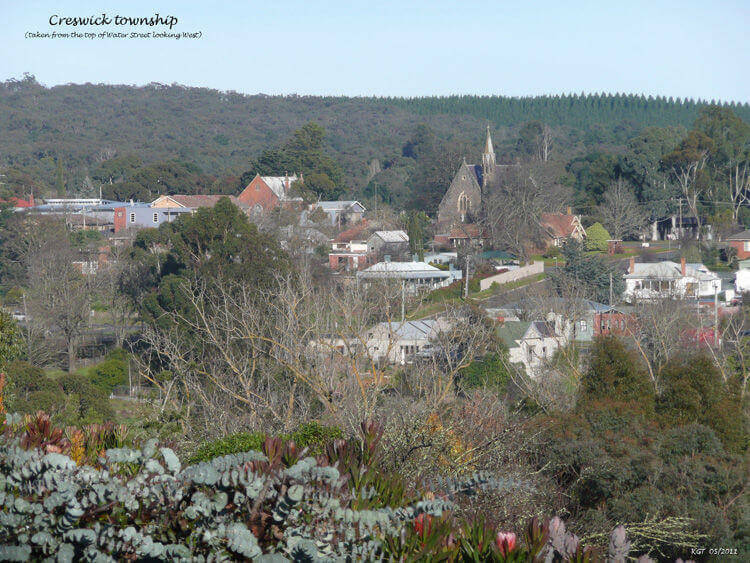 Click here for many 'things to do' in Creswick.